Can you be the life of the party when you want to? 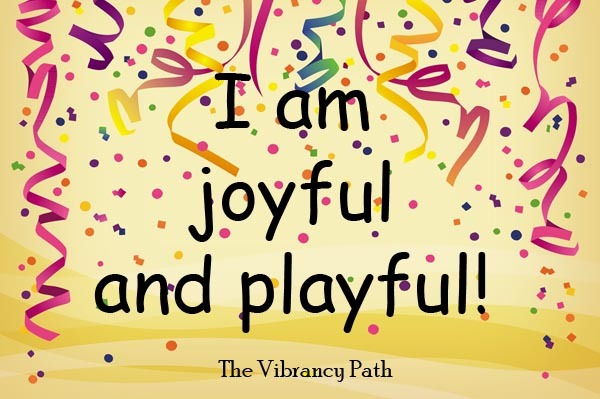 Can you bring a spirit of playfulness wherever you go? Do you have fun in your everyday activities? You’re so bored with life (or exhausted from your day) you just flop down in the couch every night and pass the hours in front of the TV until you fall asleep. The first thing you do when you’re out with friends or at a social gathering is get a drink of alcohol so you can loosen up. You don’t do anything that wasn’t planned out ahead of time. You keep your nose to the grindstone, work hard and follow the rules….but you’re burned out, unhappy, and have no social life. Life seems filled with drudgery – it’s all chores, responsibilities, and hard work. Fun and play keeps the doctors away. “My fun quotient is a little low,” I told Jamie one day, and a few days later we were sharing an inner-tube and flying down a slide, laughing the whole way. Finding what fills up YOUR Fun Fund is critical. On our recent waterpark adventure we were one of the only couples over 20 that wasn’t there with kids. It didn’t matter to us – we were kids for the day! We soaked up hours of pure joy and merriment, letting the water spray us in the face and dump on top of our heads out of giant-sized buckets. We even pretended we were going through a wormhole to another planet on one curvaceous slide through a green tube. I know you’re thinking this sounds all summery, and yet it’s the week before Christmas….but it was an indoor waterpark at a nearby ski resort, where people also go to ski and play golf….for FUN! So, what’s fun for you? Enjoy Yourself and Enjoy Your Life ! If you don’t remember the last time you had some pure, joyful, childlike fun, you’re in for such a treat. When you strengthen your inner Power of Fun, the whole world will look brighter! It’s like letting the YELLOW sunshine in. You’ll find activities to fill your evenings and weekends that give you energy and leave you feeling refreshed, relaxed and happy. Fun will ooze out of your pores – enlivening conversation, finding games to play, goofing around. You’ll be the life of the party, without having to rely on alcohol or drugs. You might just occasionally throw your plans to the wind, be spontaneous, and discover something magical. You’ll balance your work ethic with vacation time, game night, and playing with friends, bolstering your health and happiness along the way. The daily activities of life will be fun and engaging because you’ll instinctively know what’s needed to spice them up and make them more entertaining for you. #1: Are you done with all things serious? Tired of living a joyless existence? Well, try this affirmation on for size. We recommend saying and singing it 7 times daily until you begin to access that part of yourself that knows how to have a good time not matter what. Remember, if it isn’t fun, why bother? #2: Take a bottle of Fun Vibrancy Essence along everywhere you go this week. When you notice yourself going down the path of grayness and drudgery, getting lost in all the have-to’s and obligations, take 7 drops. Then walk over to the sunny side of the street and kick up your heels. If you’re going to live life, why not have fun doing it?! It’s funny how the important things get done more easily when you see life as more of a playground than a prison. Fill up your Fun Fund FAST!